Climate change is happening now. Its impacts on our health, the nature and the economy, may differ across the earth’s regions yet there are longer terms dangers for all of humanity. How can this crisis adequately be addressed? And how realistic are the action plan set during the COP21 last December by 195 countries? 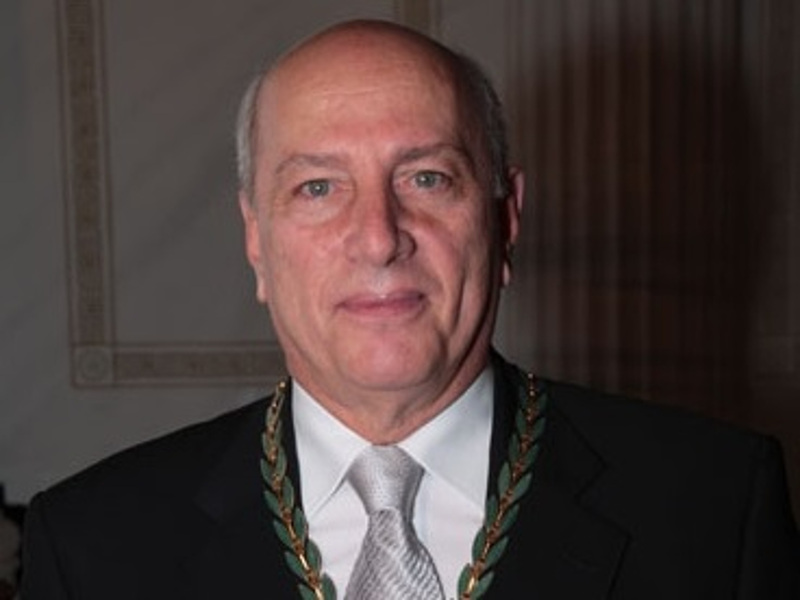 Professor Christos Zerefos, Supervisor of the Research Center for Atmospheric Physics and Climatology of the Academy of Athens, analyses this environmental crisis and raises concern over its crucial aspects. Which are the main causes that lead to the environmental degradation in Europe? The past few decades, from the middle of 19th century and on, man started changing the composition of the atmosphere and particularly the abundance of gases that determined the energy equilibrium of the atmosphere, geoshpere, hydrosphere, cryoshere, biosphere system. What has happened after the so called industrial revolution but particularly after WW2 was that carbon dioxide, one of the main gases that reduced the thermal radiation, emitted from these five spheres to space. So, it is an invisible blanket of CO2 and other gases called greenhouse gases that they don’t allow earth to get cold. With the presence of these greenhouse gases, the temperature of the earth is kept on the average, around 14 °C, 14.5 °C as an average of the planet. What man has done was to change the abundance of these green house gases significantly starting from the beginning of the 19th century and it keeps on increasing carbon dioxide, methane, nitrous oxide and many others significantly. Carbon dioxide is released when we burn fossil fuels. Unfortunately, our economy and industrial production has been based on the burning of fossil fuels. Let us not forget that the earth is a middle aged planet. We need to accept that the atmosphere of the earth has not been always the same like we know it today. It is changing. Fifty or sixty years after the industrial revolution, we have increased the minimum temperature of our planet about 1oC which is too much. According to Data released by NASA and NOAA, 2015 was the warmest year on record by far. Can you make any predictions for 2016? Although I hate to do any climate forecasts, in climatological terms we can guess that 2016 will be at least as warm as 2015. Which regions of the planet are in greater danger? Planet has no resilience to such a global change. The reason is that the equilibrium of the very existence of life and environment as we know it, depends on the interaction of the hydrosphere, geosphere, atmosphere and of course the cryosphere, which is melting. If any of these spheres is really changing like we see it in both in the hydrosphere and particularly in the atmosphere, all regions of the earth will be affected. Let me give you examples: Sea level is expected to raise, so low level islands like the cocos islands and many other places on earth will disappear. The long shore lines of not abrupt shores will have great problem for instance some coasts in Hawai, already have a problem because they are using their sand. And I am afraid that something like that is also operating in Greece in some of our famous coasts. Another example has to do with biodiversity on the shore. If we are talking about small countries, for instance Greece, although it is a small country it has a long shoreline 16.300 km, which is the largest in Europe. In that shoreline about 20% of the shores are not abrupt so they are threatened by these global changes. Mostly of course the places that are near Deltas of rivers: Messolonghi, Evros, Nestos, Aksios. But the most notable of all rivers is Nile Delta, which is indeed threatened by changes in C level and the changes in the masses brought by the river. The problems are everywhere. We definitely need to reconsider the way that we develop our civilization. And this way has to be in harmony with the environment. Big economies, such as the US, China Japan and Germany have produced most of the world’s greenhouse gas emissions than the developing countries. Should they do more to address global climate change? Big democracies like India were asking -in previous meetings in Copenhagen and before the COP 21 in Paris- that they should be able to burn fossil fuels and to follow the models developed in the West. In his speech in Paris, President Obama, said that some people thought that greening would have a bad impact on employment and reduce the income of big companies. He turned out and gave examples but in the USA those companies that made green choices in their development plans, increased both their income and the employment. On the contrary other businesses, even in the oil industry have lost some of their jobs. Greening does not really mean directly that there is a loss of jobs and income. This has convinced both China and India, they have nothing to lose if they join the mainstream of all the other countries on earth are moving towards a new economy and less or non carbon economy. This is the point. What is the cost of climate change to the Greek economy? According to big study that I have the privilege to convene, the cost of the climate for the Greek economy is estimated that it will exceed 700 billion Euros until 2100, the end of the century. If we adapt this cost is going to be reduced to about 400 billion Euros. If the global community mitigates according to COP 21 and we adapt according to our proposals to this report of the bank of Greece (the only existing report for this part of the world, exhaustive and detailed calculation of the sequences of climate change) the cost is going to be below 300 billion Euros. At the Paris climate conference (COP21) in December 2015, 195 countries set out a global action plan to limit global warming to well below 2°C. Nevertheless scientists think the warming will probably continue even if the world makes good on the commitments reached in Paris. How realistic are the goals of this deal? Are you optimistic? In the first place let me remind you that at the stage we are today the global community was in 1990 after the Montreal Protocol for the protection of the ozone layer has been signed (1987). After three years people were disappointed that we could not implement it and that we cannot protect the ozone layer from the substances that destroy ozone. Without ozone light would have been different on earth. The sun would not have been a god of life and health but a god of distraction. So, we avoided that by implementing the Montreal Protocol. This started when everybody, particularly industry has been convinced that they could cope by using alternatives that don’t harm the ozone layer. The same is going to happen today because now we know that industry is not losing jobs by shifting to greener technologies. On the contrary, new jobs will be created by producing new equipment that uses less energy. In the field of the construction domain is going to happen the same. Buildings will use less energy than they do today. Transportation will be much friendlier. And there is another great remarkable privilege. As you know the oil is very useful for pharmaceutical and other activities, we should not burn it, we need to leave oil and other fossil fuels for the future generations.